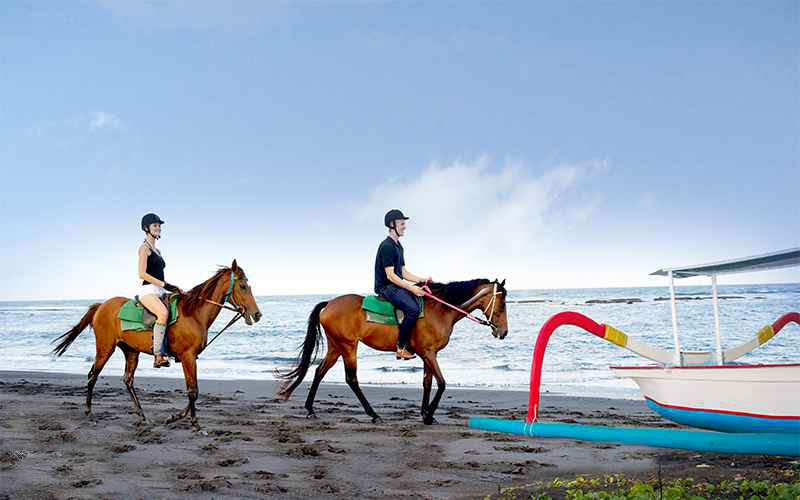 Explore hidden scenery and experience the thrill of a gallop along the beach with our horse-back excursion along Saba Bay. 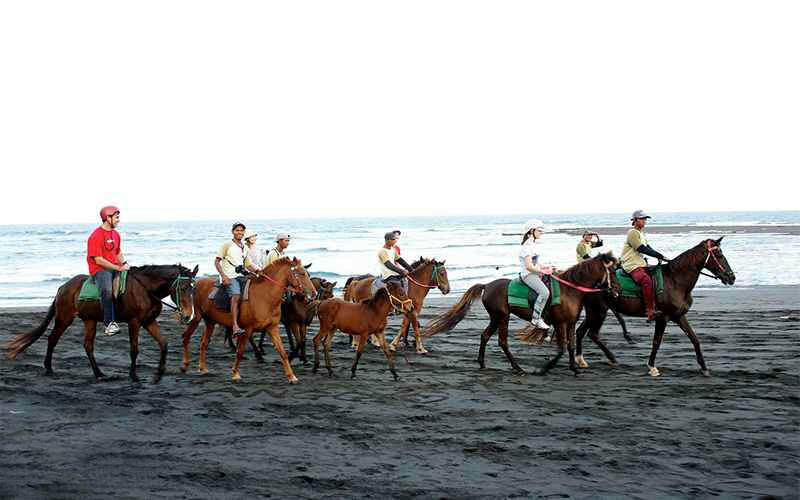 After a comprehensive safety briefing from our professional guides, you’ll embark on a memorable horse-riding experience over black volcanic sands alongside the crashing waves of this pristine, seldom-visited beach, with the stark cliffs of Nusa Penida Island and the great volcano Gunung Agung in the background. BEACH, RICE FIELD AND VILLAGE ON HORSEBACK! 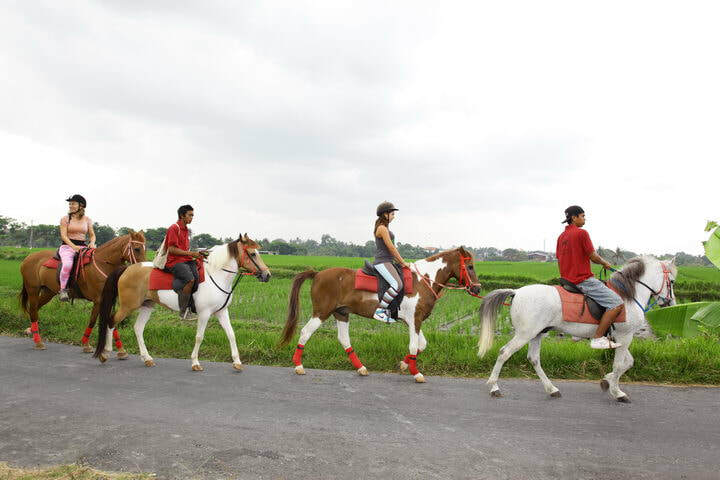 ​Experience the natural beauty of "Real" Bali on the back of one of our happy horses! 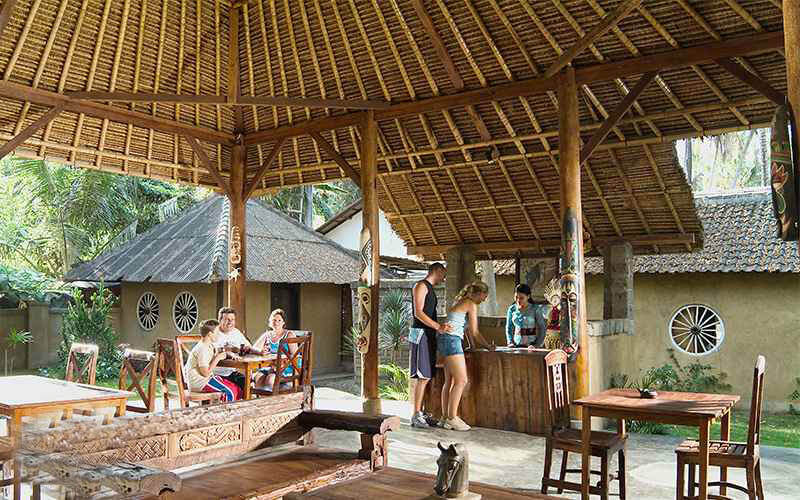 ​Located in the sleepy Balinese village of Pererenan – just a 10 minute drive from Canggu. 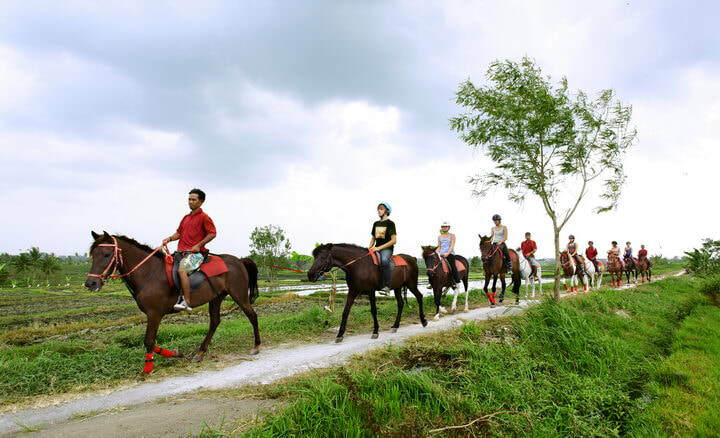 The Australian owned and operated Stables overlook lush green rice fields where very little has changed in the method of farming over the centuries. 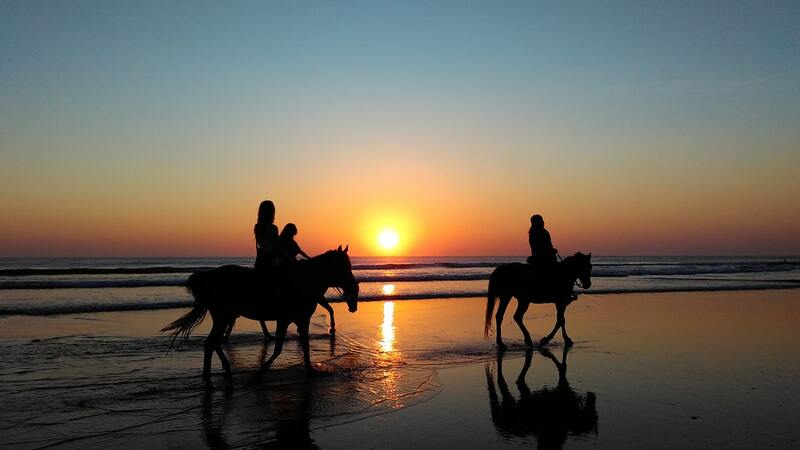 We have over 50 years experience with horses - in Australia, England and in Bali. 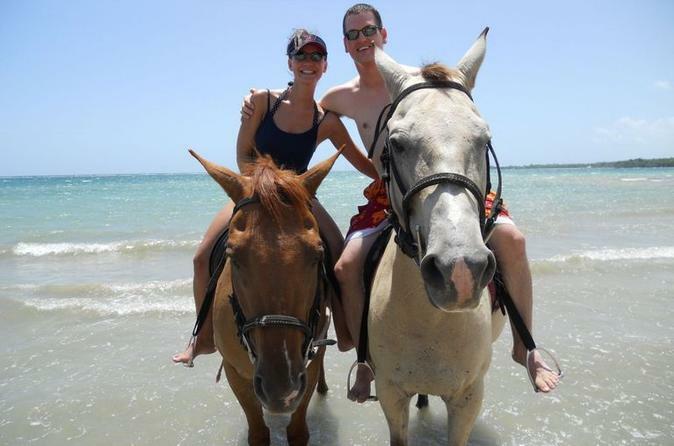 Ours is a small stable where personal service and your safety and enjoyment are our main aim. 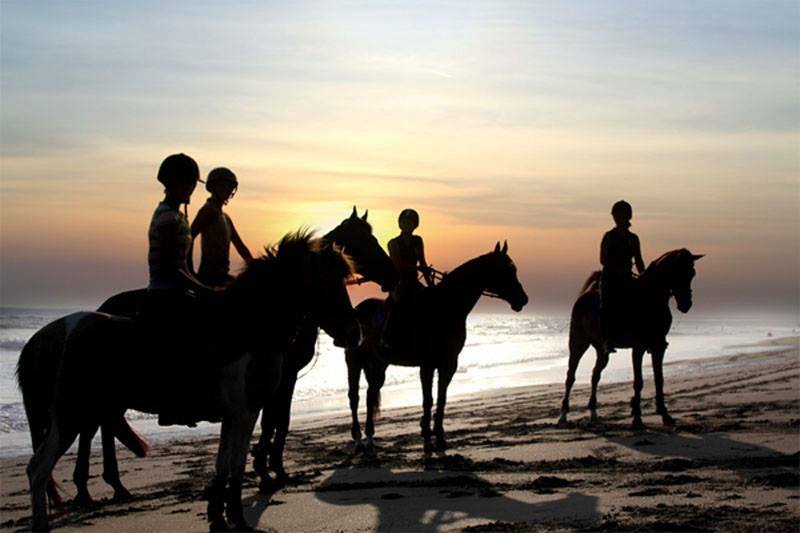 We will select one of our horses to suit your riding ability and our patient and caring grooms will accompany you on your adventure. 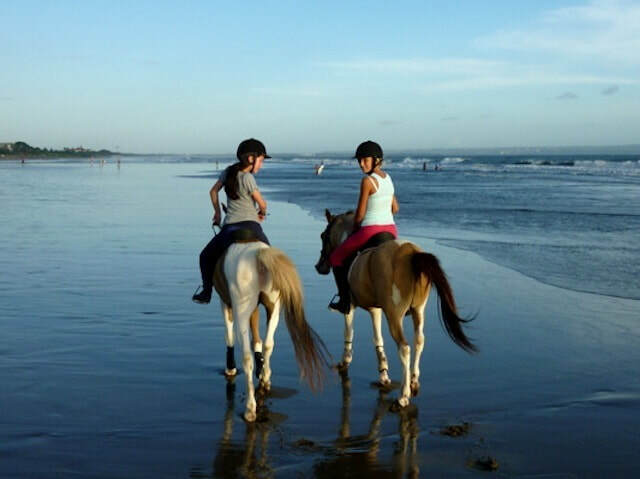 We offer Rice Padi, Village and Beach rides, of short or long duration, plus Pony Rides for children. We also offer Therapeutic Riding for the disabled, plus Individual or Group Lessons. 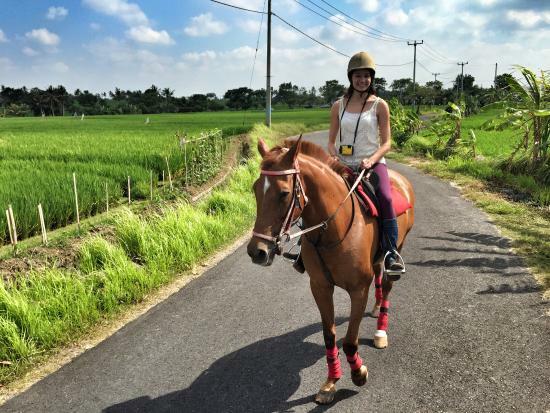 There is a suitable ride for every taste and, whether you are a beginner or an experienced rider, your time at Kuda P Stables will complete your Bali holiday. 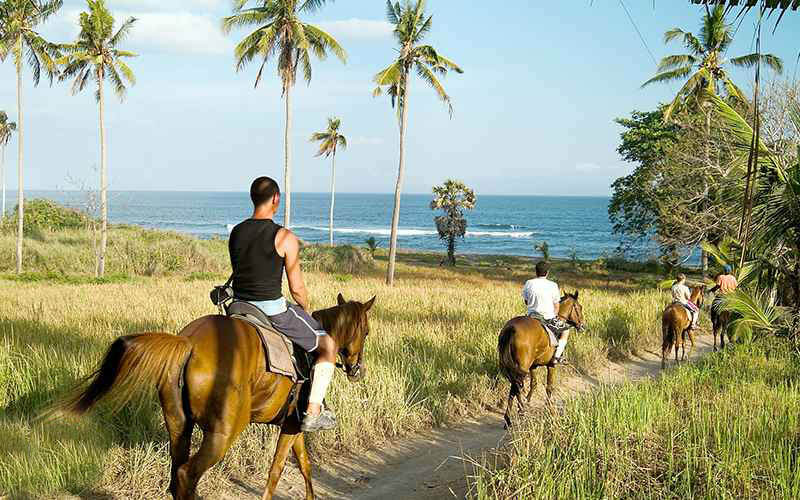 Ride with us through the lush Rice fields, quiet Villages and the beautiful Pererenan Beach. An experience to complete your Bali Holiday! Please note we accept only riders whose weight is under 90 kilos. Lesson by arrangement.